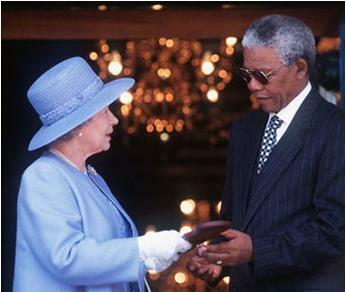 The Order of Merit is one of the honors the Queen presides over. 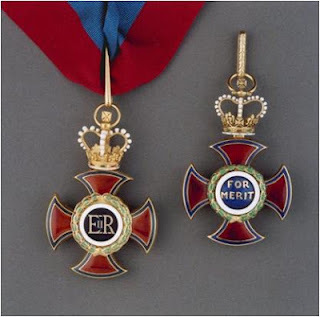 It is presented for great achievement in the fields of the arts, learning, literature and science, and was created by King Edward VII in 1902. 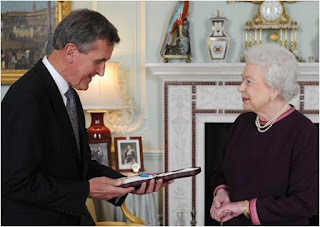 The order is limited to 24 members from the Commonwealth realms plus honorary foreign recipients and is solely the personal gift of the Queen - making it one of the most prestigious honors a person can receive. 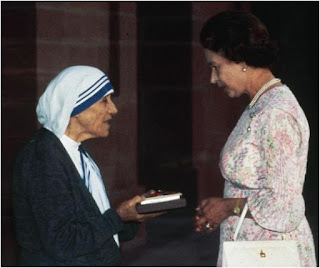 Presenting Mother Teresa with the award in 1983. The Queen is wearing the Cambridge Pearl Pendant Brooch. Past members include Florence Nightingale, T. S. Eliot, Mother Teresa (honorary) and Sir Winston Churchill; current members include the Duke of Edinburgh, the Prince of Wales, and Sir David Attenborough. Holders of the Order of Merit gather in 2009. 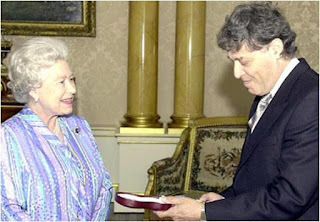 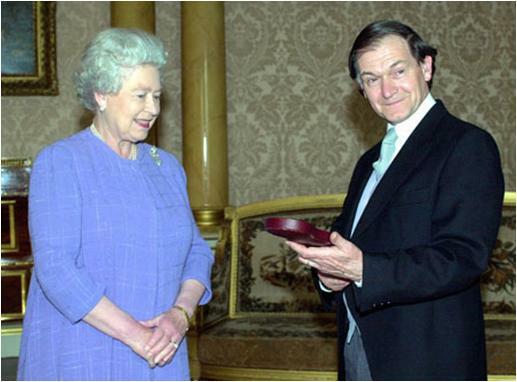 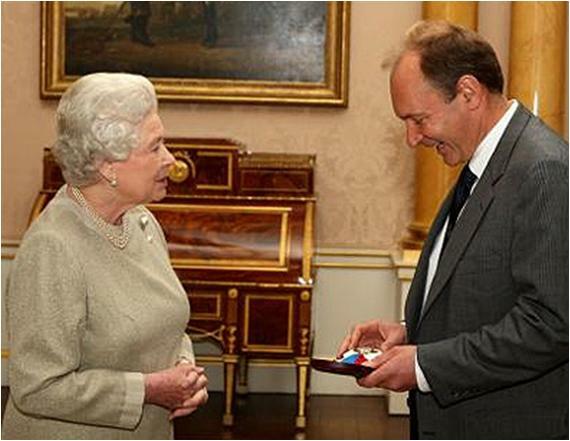 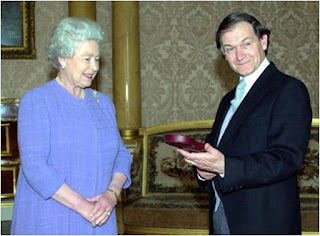 The Queen wears the Kent Amethyst Brooch. 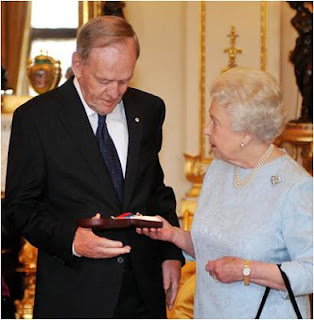 Below are presentations to some of the current members of the Order of Merit (and the brooches worn by the Queen while presenting, naturally). 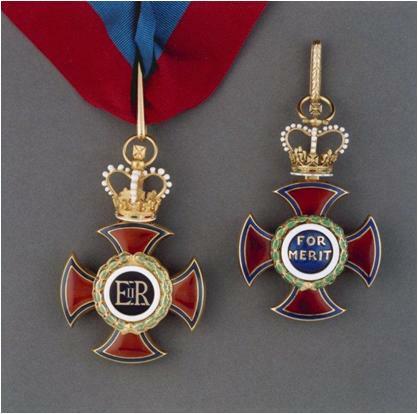 There is an Order of Merit service scheduled for May 14, 2013. 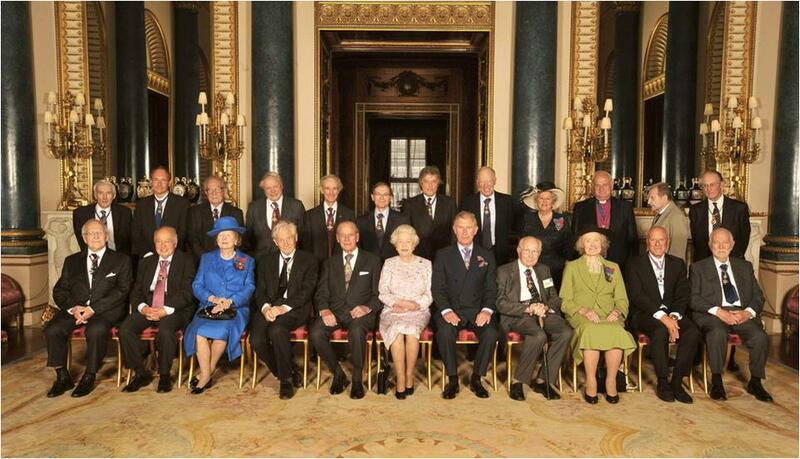 This will be followed by a luncheon, and surely some scintillating conversation - or so one would hope, with this group!